WACO, Texas – The Seward County women’s tennis team survived the first day of competition at the NJCAA National Championship in Waco, Texas on Sunday, going a perfect 4-0 on the day. Patricia Panta and Maria Aveiga won their singles matches, while the teams of Steffany Bermudez/Panta and Martina Borges/Yusra Hegy both advanced in doubles action. Seventh-ranked Panta started off the day cruising to a 6-1, 6-1 win in the No. 1 Singles draw over Mirela Jordan of Jones County Junior College. She will face Meridian’s Julia McCarty at 9:00 a.m. on Monday. In the No. 2 Singles draw, sixth-ranked Maria Aveiga earned a hard-fought win over Brenda Aguilar of North Central Texas 7-5, 6-3. She will take on Ashley Coots of Central Alabama in the Round of 16 at 9:00 a.m. on Monday. Two of the three doubles teams were in action on Sunday, starting with sixth-ranked Bermudez and Panta in the No. 1 Doubles draw winning 6-3, 6-2 over Ciara Desboilles and Juliette Mary of Eastern Arizona. The tandem will take on Jayhawk foe Laura Rincon and Kristela Vidnere at 2:45 p.m. on Monday. In the No. 3 Doubles draw, Borges and Hegy crushed the Iowa Central team of Rebecca Dunn and Aimee Kell, losing just one game to win 6-1, 6-0. The duo will face Monika Cantu and Priscilla Morales of Laredo at 4:00 p.m. on Monday. At the end of the first day of competition, the Lady Saints are tied for 9th place with eight points. 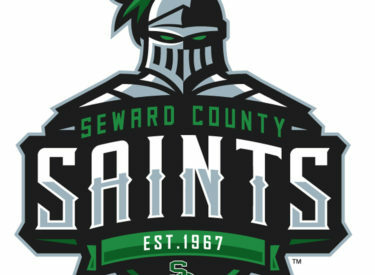 Central Alabama leads all teams with 16 points, but Seward will have a chance to vault in the standings if their five players with byes come away with wins in the Round of 16.